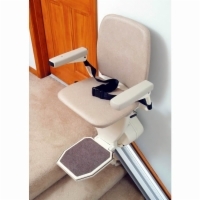 The Pinnacle Stair Lift is a battery-operated stair lift that provides more than twice as many trips compared to competing units in the event of a power outage. 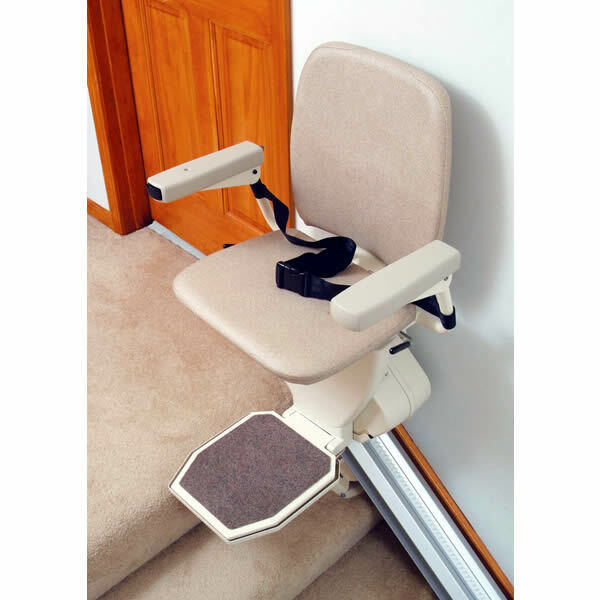 The Pinnacle does this thanks to a complete redesign of the standard stair lift drive train that resulted in the Pinnacle's patented Helical Drive. This Helical Drive is so efficient that is actually uses less power than a 25 watt light bulb. And thanks to this compact size of the Helical Drive, the Pinnacle is also the narrowest stair lift in the industry as well as the lightest!